Here we present a small selection of pictures of the SPO through the years. 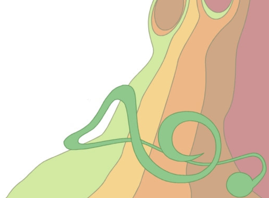 Use the selectors above to move through this collection. Please note that you can also find pages for all our concerts since 2011 from the Concerts page, most with photos. 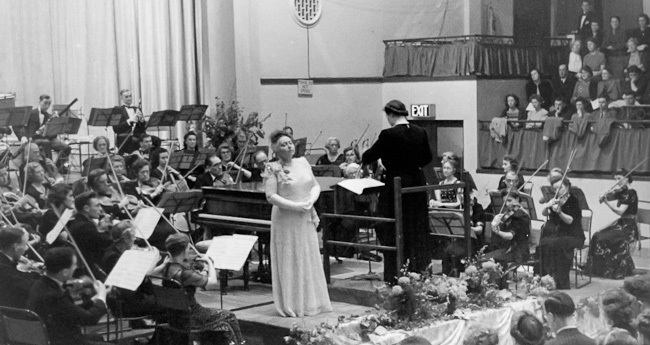 Surrey Philharmonic Orchestra in performance at Epsom Baths Hall, 21 October 1946. The conductor is founder Kathleen Riddick, with Elisabeth Schumann.